ARWILLA CARDWELL was born to Charlie and Bessie McDade on March 6, 1928 in DeKalb, Mississippi. She moved from Laurel, MS to Buffalo, New York in 1943 when she was 15 years old. Her work experience gave her a broad sample of life as she worked as a waitress, housekeeper, nurse's aide, silk finisher, barmaid, cook and dressmaker, sometimes holding three jobs at once. In commenting about multiple jobs, she explained, "It still beats picking cotton and hauling wood like my sister and I had to do in the South." In her young adulthood, Arwilla attended Warzecha School of Dressmaking and became a dressmaker and tailor. With this skill, she loved to produce fashion shows, where she and others would model the glamorous clothing she designed. Considered somewhat of a jack-of-all-trades, Willa has taken on the roles of carpenter, electrician, roofer, concrete worker, auto mechanic, fence installer, and landscaper. Her hobbies have included sewing, shopping, gardening, cooking, and upholstering. An entrepreneur at heart, "Boss" operated the kitchen at Club Capricorn, ran a dressmaking business from her home, sold Mary Kay Cosmetics for over 25 years and was a child-care provider. When asked how she got her nickname "Boss," which her beloved husband Charlie affectionately called her, she stated, "I believe in hard work and if I'm working hard, everyone around me should also work hard. I don't mind suggesting what they should be doing." The name caught on, and many now use the term. She has also been known as "ReRun," "Lucy," "Mamacita Carmelita," "Mother Goose," and of course, "Granny." Arwilla was baptized in 1948 when she joined Jubilee Temple. In 1975, she joined Good Shepard, which merged with St. Andrews, and in 1979 became Metropolitan United Methodist Church. In 1982, Arwilla committed herself to the Lord, and changed to a life devoted to doing His work and helping others. When asked about her philosophy in life, she states, "I believe in education, mother-wit, going the extra mile, and the Golden Rule. I wouldn't want to change a thing about my life because those experiences make me who I am." At Metropolitan, Mother Cardwell has served on the Building Committee, Finance Committee, United Voices Choir, Board of Trustees, as Communion Steward and as President of the United Methodist Women for over ten years. She attended Morning Prayer sessions for years at Calvary Baptist Church and Elim Christian Fellowship. Willa was married to Joseph Brown for ten years and Charlie Cardwell for 26 years. Her friend for over 20 years, Lopez Lminggio, recently passed away. On Saturday, March 23, 2019, the Lord called home his good and faithful servant. She leaves to cherish her memory five loving children, Roxie Linsey, Rose Green, Joann Lindsey, Victor Brown (Denise) and Grace Tate; 19 grandchildren, 30 great-grandchildren, 12 great-great grandchildren; adopted daughters, Alva Johnson and Marianne Partee; adopted grandson, Babatunde Cole; beloved nieces, nephews, cousins, her Metropolitan United Methodist Church family, and many dear friends. Preceding in death is her husband, Charlie Cardwell. 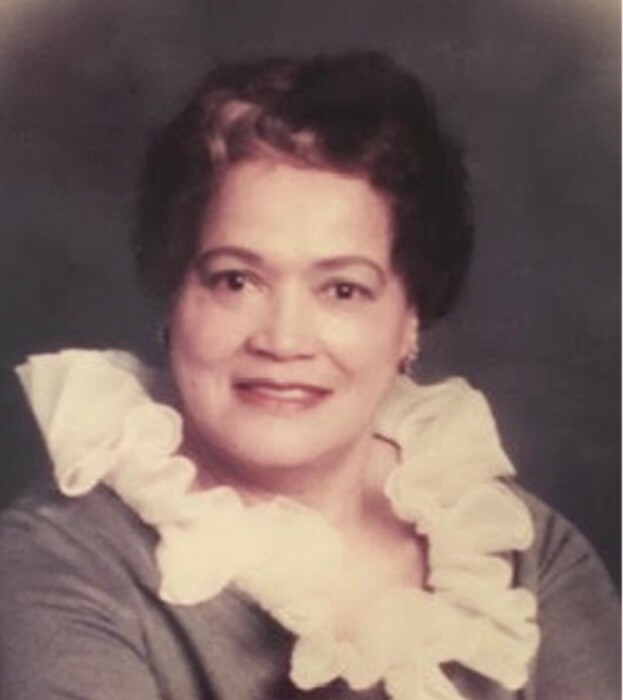 Visitation will be held Friday, March 29, 2019 from 6-8pm at Providence Memorial Chapels, 1275 Sycamore St. Family will again receive friends on Saturday, March 30, 2019, 10am . Funeral to follow at 11am at Metropolitan United Methodist Church, 657 Best St. Interment at Forest Lawn Cemetery. We celebrate Arwilla, on a life of hard work, perserverance, reaching out to others, laughter, fun and service to the Lord! Be Blessed!